It's often the little tips and tricks that can help you increase efficiency and maximize their investment in SAP Business One. Vision33 is the largest global SAP Business One reseller and have access some of the worlds' most skilled and knowledgeable SAP Business One consultants. 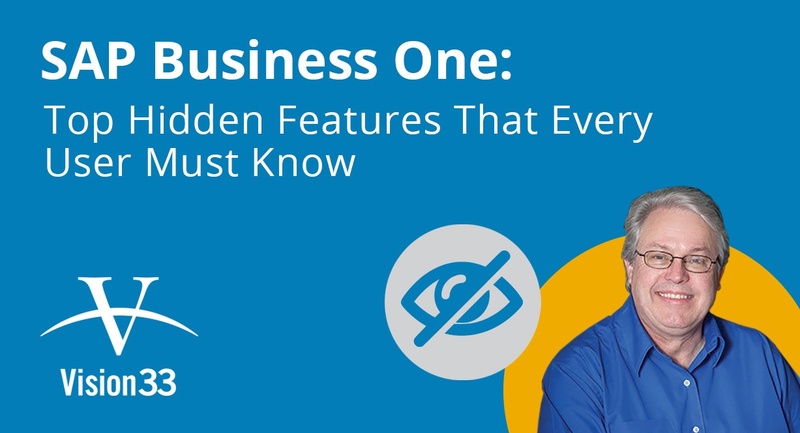 Watch the SAP Business One Top 10 Hidden Features hosted by Chief SAP Business One Ambassador, Carl Lewis and Mike White to learn about the top 10 overlooked features that can help SAP Business One users save time and get the job done quicker.